Preview – Dec 12, 2013 6-8 p.m.
2nd Saturday Reception – Dec 14, 2013 6-8 p.m.
Colleen Adamson, animal lover and art gallery CEO joins her two passions in a fundraising event for the Front Street Animal Shelter. 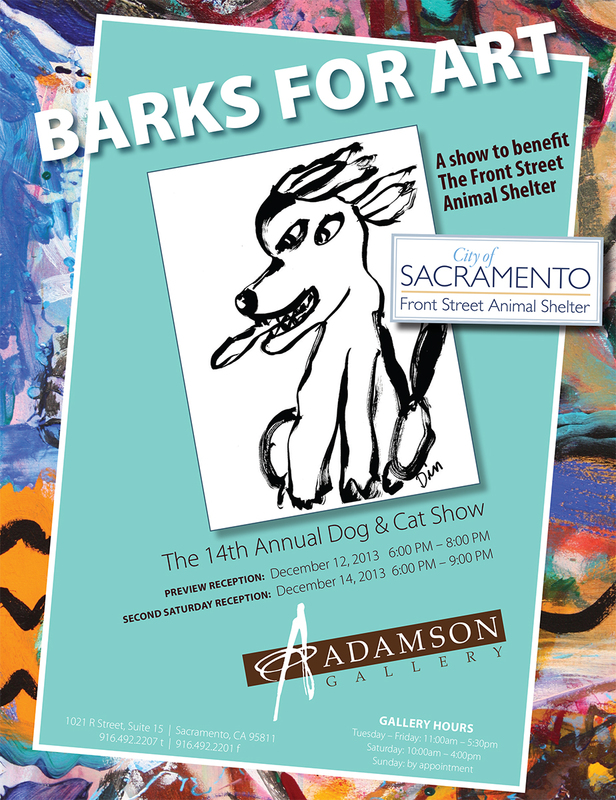 Guests will have an opportunity to view and purchase animal inspired art presented by several local area artists in order to benefit the lost, stray and abandoned animals of Sacramento. A portion of the event proceeds will be awarded to the Front Street Animal Shelter, a regional leader in animal welfare. Shelter animals will be on site as well for anyone who might be interested in adopting. The evening promises to be a wonderful blend of art for the sake of animals. Make sure to follow the Front Street Shelter on Facebook for more great updates!